CarGurus has 7,937 nationwide A6 listings starting at $1,100. Audi’s middle child gets a bit of attention this year, with suspension tuning, a new supercharged V6, and slight cosmetic changes. While the four-door luxury A6 has been a dominating success in its class overseas, it has received less attention in the States and has been widely outsold by its classmates. 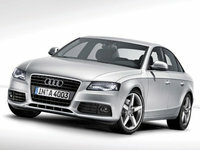 Audi hopes to change that with its first supercharged offering in almost 70 years, the 3.0TFSI. The A6’s base trim, the 3.2, has front-wheel drive and gets power from a naturally aspirated 3.2-liter V6, which produces 255 hp and is paired with a continuously variable automatic transmission. Vehicles fitted with the new supercharged V6 are dubbed 3.0T quattro - much to the chagrin of enthusiasts who know that a “T” designates turbocharging, not supercharging - and enjoy both Audi’s quattro all-wheel drive and a six-speed Tiptronic automatic transmission. The Roots-style supercharger winds out at 23,000 rpm and produces a maximum boost of 11.6 psi, with the engine running at a compression ratio of 10.5:1. This means a power output of 300 hp and 310 lb-ft of torque, enough to propel it to 60 mph in less than 6 seconds, if the slightly less powerful, 290-hp Euro version of the supercharged 3.0T A6 can be used as a benchmark. The 3.0T quattro is also available as a wagon, where it is designated the 3.0T quattro Avant. The 4.2 Tiptronic is similarly fitted with the same six-speed automatic and quattro AWD as the 3.0T, but instead is powered by a 4.2-liter V8 that produces 350 hp. Also new for 2009 are suspension adjustments and refinements that have increased the sporty ambition of this executive scoot. Larger shocks up front and improved spring response are supposed to improve both handling and performance, although testers have noted that the ride simply goes from “a bit stiff” to “stiff,” depending on options and trim. The front and rear of the A6 receive aesthetic attention, with new A8-inspired headlamps with LED daytime running lights, a new front fascia and slightly modified grille with new foglamps, as well as two-piece LED taillights featuring nighttime optics. The 2009 A6 also gets additional aluminum trim inside, a higher-resolution instrument display, and new wheels. What's your take on the 2009 Audi A6? 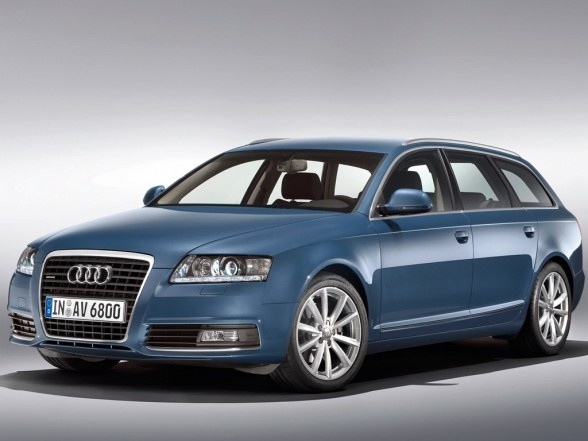 Users ranked 2009 Audi A6 against other cars which they drove/owned. Each ranking was based on 9 categories. Here is the summary of top rankings. Have you driven a 2009 Audi A6? There Is A Fake Add "09 Audi A6 Avant" How Do I Report It To Cargurus? 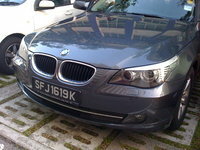 What would be the cause of the daytime running lights not working. Does the Audi A6 2009 have an aux input or Bluetooth to be able to play music off an iPhone or android as soon as you pull off the lot?